척추 전문 우리들병원 이상호 회장은 최근 터키 안탈리아에서 열린 '제 3회 아시아 최소침습 척추 수술 및 치료 학회(ACMISST)'에서 흉추 디스크 질환의 최소침습 수술법에 대한 특별 강연을 했다고 14일 밝혔다. 현미경과 내시경을 병용하는 수술은 뇌수술에서는 이미 보편화돼 있다. 요추와 경추에 이어 흉추 디스크 질환에서 현미경과 내시경을 병용한 안전한 수술법이라는 것이 발표됐다. 이 수술법은 현미경을 이용해 약 1.5cm 신경구멍을 넓힌 다음, 등으로 직경 0.6cm의 경피적 내시경을 삽입해 탈출된 디스크를 제거하는 방법이다. 강연 자료에 따르면 수술을 받은 총 28명 중 26명이 호전으로 93%의 성공률을 보였으며, 효과가 없었던 2명 중 1명은 흉강경 수술로 다른 1명은 내시경 시술로 재치료를 받았다. 우리들병원 이상호 회장은 "최근 미국 아리조나 의과대학 척추센터에서 현미경과 내시경을 병용하는 흉추 디스크 탈출증 수술의 안전성과 효과를 인정했다. 무엇보다 전통적 수술과는 달리 수술 당일 보행이 가능한 정도로 회복이 빠르다는 장점이 크다"며 "상처를 최소화하는 안전한 수술법은 이미 전세계적인 흐름이 됐다. 앞으로도 국내 우수한 의료기술을 알리고 세계 지성들과의 지속적인 교류를 통해 기술 발전에 힘쓰겠다"고 말했다. 터키 앙카라대학 정형외과 타릭 야자르 교수(2014 ACMISST 회장)는 "현미경과 내시경 병용 척추수술로 터키는 물론 이란, 이라크, 사우디아라비아 등 중동 아시아 환자를 고치고 나아가 러시아, 카자흐스탄 등 구소련 동유럽 국가 환자들을 고칠 수 있도록 한국의 기술과 터키의 투자로 국제 우리들척추병원을 세우고 싶다"고 제안했다. 이번 학회는 아시아, 유럽의 신경외과, 정형외과 등 척추외과 전문의 250여명이 모인 가운데 성공적으로 개최됐다. 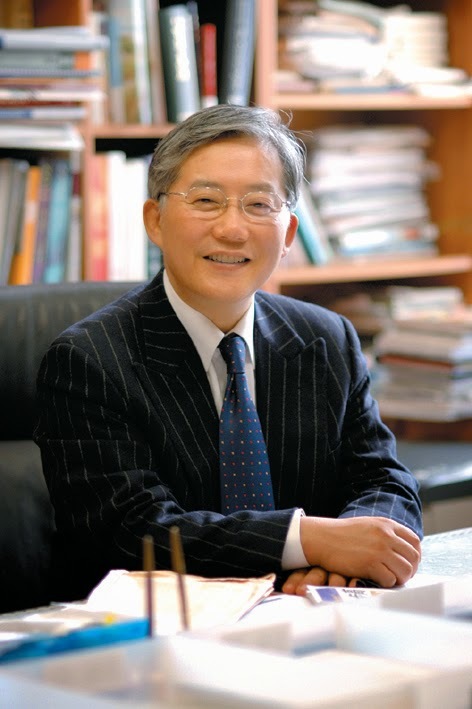 우리들병원 최경철 부장님의 논문이 Pain Physician에 게재되었습니다. 요추5번-천골1번에 디스크 탈출증이 있는 환자들을 대상으로 추간공경유 내시경요추절제술과 추궁간판 경유 내시경 요추절제술을 비교하여 시행한 연구 입니다. 수술한 환자 30명을 대상으로 2년 후의 VAS, ODI, 업무 복귀 소요시간 등의 임상결과와 디스크 종류, 사이즈, 위치, 높이, 추간공 높이 등을 조사하였습니다. 임상결과는 두 군 모두 수술전에 비해 수술 후 결과가 향상되었고, 디스크 종류, 크기, 높이 및 추간공 높이 등은 두 군간의 유의한 차이가 있었습니다. 연구자는 요추5번-천골1번 디스크를 수술하는데 있어 이 추간공 경유 내시경수술과 추궁간판 경유 내시경수술의 접근법은 현재 집도의의 선호도와 장골뼈와 디스크 공간 사이의 해부학적인 연관성에만 의존해서 수술하고 있고, 아직 참고문헌이 없어 연구를 시작하게 되었다고 합니다. *Bibliography: Pain Physician. 2013 Nov-Dec;16(6):547-56. Percutaneous endoscopic lumbar discectomy (PELD) is a minimally invasive spinal technique. The unique anatomic features of the L5-S1 space include a large facet joint, narrow foramen, small disc space, and a wide interlaminar space. PELD can be performed via 2 routes, transforaminal (TF-PELD) or interlaminar (IL-PELD). However, it is questionable that the decision of the endoscopic route for L5-S1 discs only depends on the surgeon's preference and anatomic relation between iliac bone and disc space. -To compare the radiologic features and results of TF-PELD and IL-PELD. We have clarified the patient selection for the PELD route for L5-S1 disc herniation. -Mean VAS(back, leg) and ODI: significantly improved in the 2 groups. The prevalence of axillary disc herniation (20 cases, 66.7%) was higher than that of shoulder disc herniation (10 cases, 33.3%) in the IL-PELD group. On the other hand, in the TF-PELD group, shoulder disc herniation (20 cases, 66.7%) was more prevalent than the axillary type (10 cases, 33.3%; P = 0.01). A higher number of patients in the TF-PELD group had central disc herniation (10 cases, 33.3%) compared with that in the IL-PELD group (2 cases, 6.7%; P = 0.01). Eleven cases (36.7%) of high grade migration were removed using IL-PELD and one case (6.7%) was removed using TF-PELD (P = 0.01). TF-PELD was used to remov only 3 cases of recurrent disc herniation. There were no significant differences of radiologic parameters between the iliac bone and L5-S1 disc space between the 2 groups. -Relatively small sample size and a short follow-up period. -Demonstrated that TF-PELD is preferred for shoulder type, centrally located, and recurrent disc herniation, while IL-PELD is preferred for axillary type and migrated discs, especially those of a high grade.